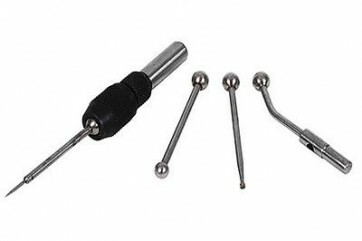 Brand New Wiggler and Centre Finder Set 5 Piece High carbon steel. Use to check run-out or concentricity, establish centres, check straightness or alignment of flat surfaces. Includes: chuck holder, needle point, 0.25" dia ball, 0.1" dia disc and offset indicator holder.